How often are the wounds from my past fighting the wounds from someone else’s past? Would that help me to respond to others with more compassion and mercy? Seeing my interactions from this perspective drives home the importance of my own soul work. If I don’t make the space for healing and grounding my identity in my true self that is united with God’s love, then there isn’t much of a chance that I’ll show mercy to others. I’ll either react out of defending my false self, which has become a safety mechanism for my pain, or I’ll just react out of the anger that I’m feeling in the moment. Richard Rohr writes often that we can’t dismiss our pain until it teaches us what we need to know about ourselves. My anger has been an unwelcome but important teacher. What is feeding this anger? What drives it? For a while I couldn’t even put my finger on it. It was just present, and when something or someone agitated me, I could feel anger rising up to explode. The agitations and conflicts of daily life have been too much for me some days, and I’m learning that there is a reason for this. Yes, anger is the perceived denial of a right, but is there a legitimate reason for the anger in my life? Did its formation come from the denial of something that was an honest to goodness right? I think that is often the case. That begins to move us away from an unhelpful view where anger is always wrong or sinful. Anger can go horribly wrong, but it may well be the symptom of an issue that can be faced with compassion and mercy. If my anger is repressed, then it continues to boil and simmer in unseen but very real places in my life. And anger has to be faced because it is a teacher. Once I’ve faced my anger, I’m able to move toward healing and to recognize that the many times my anger boils, it’s often not because of a particular person or event. If I can ever get beyond the sources of my own anger, then perhaps I can find the capacity to hold the anger of another person with compassion and mercy. Perhaps I can imagine that this person has his/her own pain and wounds that are fueling the anger directed at me. I confess, I’m not there yet, not by a long shot. This gives me a deeper awareness and appreciation for the ministry of Jesus. He was a man of sorrows who suffered alongside humanity. He bore our sins, weaknesses, and failures as one of us. He had the capacity to bear the weight of the world’s wounds, and he came as a doctor intent on healing all who trusted themselves with him. Jesus could see beyond the ambition, power, and evil of his executioners, pleading with God the Father, “They know not what they do!” Even as he bore the wounds of their torture and the excruciating pain of his final moments, he remained compassionate on the people set on destroying him. There are plenty of barriers that could keep me from showing compassion to others, but perhaps the most limiting are my own wounds that keep me burdened with my false self and my anger over the very real failures of my past. With the stakes so high over my ability to show compassion and mercy toward others, let alone to bear their burdens alongside them, the soul work of facing my anger takes on even greater urgency and importance. May God’s presence and healing bring us the healing and wholeness we need in order to love and serve others with the compassion they so badly need. That’s the question Jesus asked a blind and paralyzed man. The man was so focused on his own plans and solutions to his hopeless problems that he never even answered Jesus’ question. Perhaps that non-answer was answer enough. It’s a good thing that Jesus wasn’t picky about his answer. I can relate to this man. Who hasn’t been so fixated on the solutions that work for everyone else? Who hasn’t looked at his own faltering plans and doubled down, trying to make them work? Honestly, I don’t want to be made well. Too often I choose to limp along or to stick with my comfortable half measures that make life tolerable. Actually moving into a place where I could thrive and experience renewal takes sacrifices, discipline, and, most importantly, hope. Do I believe that God can make me well? Do I believe that God offers something better than what I already have? Do I believe that reaching out to God will change anything? Who wants to make time for God if there isn’t a guarantee that prayer will “work” or that God can offer something better than what I already have? Here is what I’m learning: I settle for far too little, far too quickly, far too often. The first step you take is often the hardest because you don’t have hope or experience to fall back on. Beginning with prayer is the great unknown. Where is this going? Who knows? Who knows when you’ll find it. I want to be made well, but only if it’s easy and doesn’t cost much. I want to be made well if I can understand and, ideally, control the process. I want to be made well only if I’ve seen the solution work for other people so that I can imitate them. The hardest thing about spirituality for me, and I suspect many Protestants, is grasping the amount of effort and will power it takes to daily surrender to the love and power of God. The life-change and healing we seek is 100% from God, but it takes everything we’ve got just to surrender and to trust completely. It takes so much effort to bring ourselves to the place where only God can work to heal us. Healing will never come from our own plans, methods, and “medications.” We can choose to limp along with sleeping pills, wine, recreational drugs, consumerism, or sexual indulgences. We can choose to run from the pain of the past, the anxiety of the present, and the terror of the future. There’s no escape that we can engineer on our own. There’s no way to medicate this pain long enough. There’s no healing that we can engineer on our own that replaces the healing power of God’s loving presence. Surrender is a life-long and daily struggle. There’s no guarantee about what follows after the surrender, what the healing will be, or how long it will take. There’s no guarantee for anything other than the hope I can gather from past experiences and the experiences of others (including the stories of scripture). Each time I bring my wounds and limps to the Lord, I find that it’s only through this bracing vulnerability and faith that I can find healing. It’s only through doggedly fighting to make space in my mind and in my day for God that I can expect to be made well. Do I want to be made well? Do I want to make time to be made well? Do I want to make time to hear the voice of God? Do I want to make space in my life for God’s presence? Or do I want to keep limping along, hiding my pain and medicating it with the imperfect medications on hand? You can be made well. I can be made well. I suspect that we can’t even imagine what God has in store for us. That may be the greatest challenge we face when it comes to answering Jesus’ question. Only Jesus himself knows how badly we need to be healed, and that’s why he isn’t picky about how we answer his question. 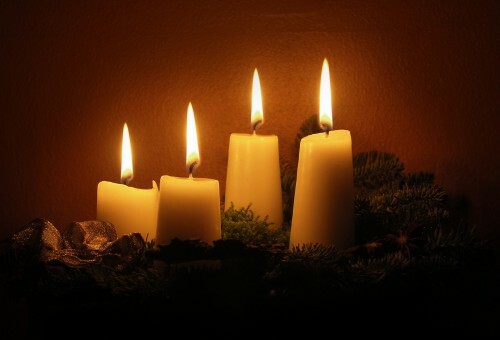 Are We Moving Toward Suffering During Advent? If I have made one big mistake as a Christian, it’s been wanting to help people from a distance rather than drawing near to them. You know, pretty much the opposite of what Jesus did. We could summarize the ministry of Jesus like this: Find people trapped in sin and suffering, join them, and restore them to God. He is merciful and kind, empathizing with our weaknesses and then healing us. However, in order to be truly merciful and in order to fully heal us, he has to also be fully among us, present with us even when we’re at our worst. My church has been talking a lot lately about being present with those who are suffering during Advent. 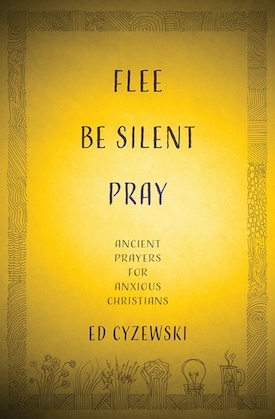 In fact, our big picture mission is “to be a community of prayer that engages suffering.” I kind of hate the word “engage” because I think it sounds a little too impersonal or detached, but it captures the right direction and intention. If there was ever a time of year to think about being present among those who are suffering or in sin, Advent is the time. Jesus came down to earth in order to be present among us, to show mercy. He wanted to fully see, hear, and understand. He wasn’t detached from suffering. And when he encountered suffering, he drew closer to the people, listened to them, and offered to help those willing to receive it. I like the idea of helping, but it can be tough to draw near to others and to be fully present. There’s always a great excuse, whether I don’t have enough money, time, or emotional reserves. For advent, I wanted to ask what it might look like to be present among those who are suffering and how we can help. Perhaps today we need to begin with a simple truth that will make everything else all the more meaningful: God is present among us first and foremost. We’re not in this alone, even if we sometimes feel like it. We could be in the midst of a dark night of the soul. We could lack training in awareness of God. There are lots of reasons why we may struggle to recognize God’s presence among us, let alone experiencing the joy and freedom of God’s Kingdom that is already here. If we don’t believe God is moving toward us first, we’ll struggle to move toward others. What if you took 20 minutes each day this week to simply sit and acknowledge of the presence of God. Don’t ask for anything to happen. Don’t expect miracles. Just recognize that God is present. Focus on a simple word like mercy, love, kindness, present, heal, or another word that helps you focus on God’s presence. Through Advent we recognize God’s movement toward us, but we’ll feel alone and forgotten if we don’t prepare a place for God to arrive and assure us that the mercy and empathy of Jesus, our high priest, also applies to us. I used to really hate Columbus, Ohio. When driving from Philadelphia to my college out in Indiana, it was the last major obstacle on a trip that lasted between 11 and 12 hours. After weaving my way through the terribly maintained Pennsylvania Turnpike and then rumbling along the pothole-filled Pennsylvania section of I-70, the rolling hills of Eastern Ohio provided a welcome respite of clear, easy driving. I made excellent time and had minimal close calls with trucks or reckless drivers until I hit Columbus. Everything was always terrible in Columbus. At certain points a series of merges and exits led to one traffic jam after another along I-70, and if I wanted to doge the center city traffic, I could take the longer 270 by-pass option that added time but minimized merging and traffic jams. Either way, I always lost time around Columbus. If my drive ever extended longer than the twelve hours predicted by Map Quest, I could usually blame Columbus. I used to sneer at its skyline. And who would ever want to live in such a city? Nothing about it made any sense to me. There were no mountains, no oceans, and no major lakes to speak of. Columbus was just a smattering of skyscrapers and traffic jams surrounded by suburbs and cornfields. Columbus also marked the beginning of the really flat part of my drive. As much as I wanted to escape the East Coast for a season, I really missed the rolling hills and mountains outside of Philadelphia. They’re no great shakes compared to what you see in the Northeastern states like Vermont or New Hampshire, and they’re like speed bumps compared to the Rockies, but it can be jarring to leave something that has surrounded you for most of your life. Columbus marked the point of no return before the unrelenting Midwestern FLAT that persists until Colorado. As much as I looked forward to college, I couldn’t help feeling a little sad once I hit Columbus. It marked the point where I definitely didn’t feel at home, the point where I didn’t belong. My wife and I took a walk along a country lane in Connecticut outside of the town where we’d been living for the past year. She was a student at a nearby university, but it wasn’t quite the right fit for her area of study. She had applied to a few schools, and the best opportunity had been offered by a school in Ohio—a school right in Columbus. While the details of the program sounded amazing, I couldn’t fight off the sense of dread. 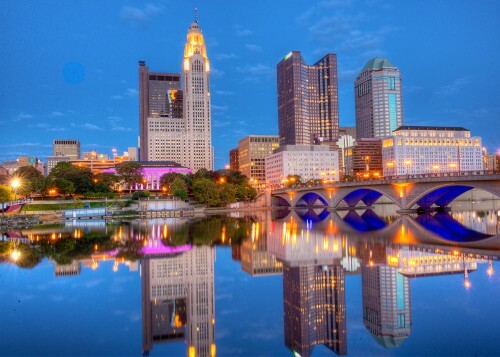 I would have to make Columbus my home for at least four years, maybe longer. I figured that I’d at least get cheap hockey tickets to see the Blue Jackets. We jumped into our move with both feet, and have tried to find our place in this city that had been my enemy for so long. For the most part, it has worked. After three years in Columbus, we’ve certainly missed the mountains, lakes, and oceans of the northeast, but we’ve also found a great church, fantastic friends, excellent activities for our kids, and some decent hiking outside the city. There is a great local food scene, even pizza that approaches the quality of NY style joints, and those cheap hockey tickets. It’s strange to tell people that I’m “from” Columbus. I still think of myself as someone from the northeast. But there’s no denying that God has taken an unlikely place that I’d completely written off and caused life to blossom. If Columbus was my wilderness, God has tapped open a rock and sent streams of water flowing. I’m as close to thriving in this season of life as I’ve ever been. I have no idea why a landlocked city in the Midwest with a puny river running through it got named “Columbus.” Why name a city after a European explorer? I have no clue. It’s as mysterious as our ongoing celebration of Columbus Day. It’s been well-documented that Columbus was murderous, cruel, and responsible for the deaths of thousands if not millions of native people. It’s hard to find much of anything to celebrate from his legacy. So perhaps it’s our role to bring new stories to life that celebrate what’s actually worth remembering. Now, I get it. I have seen God bless us with friends, community, and a new life. It’s not the Promised Land per se, but it’s been a land full of new promises and hope. It’s been the scene of significant new life for me as I’ve confronted my anxiety issues and discovered a deeper experience of God’s love and mercy. I didn’t have to move to Columbus in order to make those steps, but I can see how key people and moments in Columbus have been a part of that process. God has been guiding us through this season and changing us. Perhaps the smallest of these changes is my view of this city. God can bring blessings in the places we least expect them. God can take a poorly named, horrendously situated city and create no end of new life and opportunities.